The goal of the workshop is to facilitate the identification of novel non-opioid natural products with efficacious and non-addictive analgesic properties. The workshop will also discuss research barriers for the study of such natural products for pain treatment and management. The discussion will focus on how to identify promising leads based on traditional medicine; how to discover and identify active natural products; and how to characterize the mechanisms through which they act. The talks will be organized around promising known non-opioid classes of natural products from various sources and will walk through their discovery and challenges that have been encountered in their development. The workshop is targeted to researchers engaged in basic and mechanistic research in the fields of natural products and/or pain signaling. We hope that through this workshop we will provide novel and important contributions to the goal of finding solutions to the current pain and opioid crisis. Registration is free, and open to the first 165 online registrants for in-person attendance. We will stream the meeting online at (https://videocast.nih.gov/live.asp?live=28978) and the meeting will also be archived. National Center for Complementary and Integrative Health (NCCIH) Wen Chen, Ph.D., Craig Hopp, Ph.D., Dee Gamliel, M.S. National Institute of Neurological Disorders and Stroke (NINDS) Michael Oshinsky, Ph.D.
National Center for Advancing Translational Sciences (NCATS) Philip Sanderson, Ph.D., Samantha Jonson, M.P.S. 8:40 a.m.-10:10 a.m. Session One—Overview: How To Find the Needles in a Haystack? 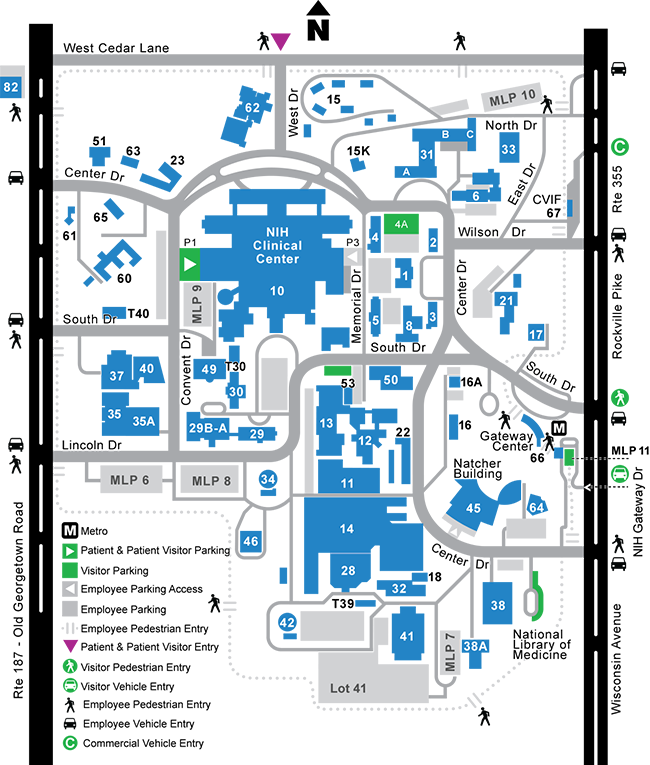 Roadway at Center Drive is for entering campus only; visitors exiting campus may exit from other open locations. To see a list of exits, please visit the employee map. All vehicles and their contents will be inspected upon entering the campus. How can I contact the organizer with any question(s)?